Home / Reviews / Lady Bird Blu-ray Review! This Academy Awards season, mother daughter films seemed to have the edge on the competition. There were the nasty bitter mom and daughter stories of I,Tonya and the intricate delicate portrayals in Lady Bird. One of the sleeper films of 2017, Lady Bird is a delicate and nuanced film that will capture your heart. Christine (Saoirse Ronan) is a Catholic high school senior who chooses to go by the name of Lady Bird. Lady Bird and her mother (Laurie Metcalf) have a love hate relationship which is at the heart of the film. The film opens with both Lady Bird and her mother driving home while listening to Grapes of Wrath on audio tape. It’s here that a simple moment in time and conversation turns sour to the point that Lady Bird opens the car door and jumps out of a moving vehicle. 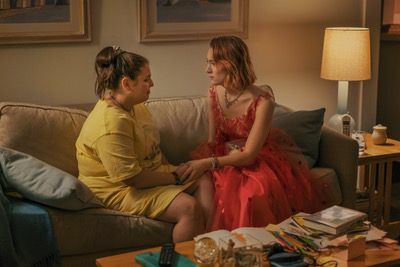 Lady Bird’s best friend is Julie (Beanie Feldstein) and together they decide to try out for the school musical. This play is done with the boys school which is where Lady Bird meets Danny (Lucas Hedges). They begin to date and Lady Bird eventually gets invited to Thanksgiving dinner at Danny’s grandmother’s house. The love affair doesn’t last often as Danny comes out as gay. Lady Bird bounces back and attempts to fit in by making friends with the popular kids at school, dating the brooding outsider who “wants to get by using not money but the barter system” and losing her best friend. It’s something that so many kids in high school go through, the changing of life, the pain of adolescence and looking at the future and trying to figure everything out. 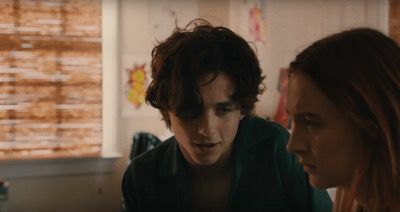 I know a lot has been made of Lady Bird being a female story, but to be honest… I think it’s everyone’s story. It’s universal and a simple sweet slice of life. To me the subtleties are what makes the story so effective. It doesn’t bowl you over with its messaging instead it just tells the story. There really is no beginning, middle or end and you can’t say that about most films even ones that claim to be slice of life movies. This story is very special and needs to be seen to be appreciated. The performances, two of which were nominated for Oscars are sublime. 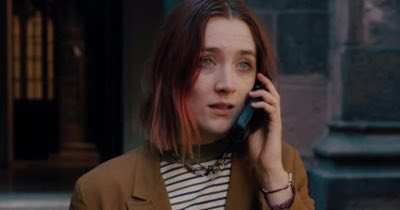 Saoirse Ronan captures the ever changing throws of growing up perfectly and Laurie Metcalf as her mother who means well but is too similar to her daughter is pitch perfect perfection. The supporting cast is equally excellent giving the film so much heart. Lucas Hedges in particular nails each scene he’s in and his coming out moment is extraordinary. Lady Bird arrives on Blu-Ray in a fine transfer thanks to Lionsgate Films. The high deficition transfer is wonderful. Fine details are present and there is little to no fallout even in the darker scenes. The film transfer makes Sacramento, where the film is set, look incredible. It’s like another character in the film and here the transfer helps make it come to life. It’s a rich color palate that while the film was shot digitally, has been given an inherent grain, much like life. It’s not perfect, it has imperfections, but it is what it was meant to be. Lived in. Audio Commentary with director Greta Gerwig and Cinematographer Sam Levy. It’s a good track with some interesting insights into the directing and writing process. Realizing Lady Bird – This is a short fifteen minute featurette, with some behind the scenes footage and interviews as well. Overall, I loved Lady Bird, It was one of my favorite films of last year and I’m happy to see that it’s been given a proper high definition transfer. I wish there were more bonus features, but overall this release is well worth picking up. 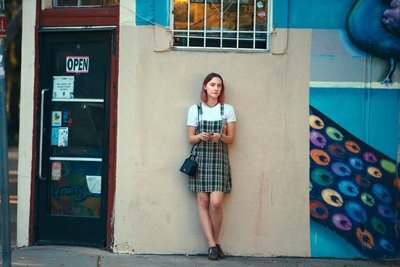 The true star on this release is the film itself, Lady Bird is a film you can watch over and over and still pick up subtle things you never saw. It’s an amazing work and I couldn’t recommend it enough. Lady Bird is out now on Blu-ray! Revenge Of The Nerds Blu-Ray Review! The 1980’s Classic Arrives On High Definition! 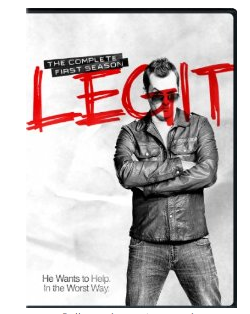 Legit Season 1 DVD Review! Comedian Jeff Jefferies Is Inappropriate, Rude And Hysterical! The Battle of the Sexes Blu-ray Review! 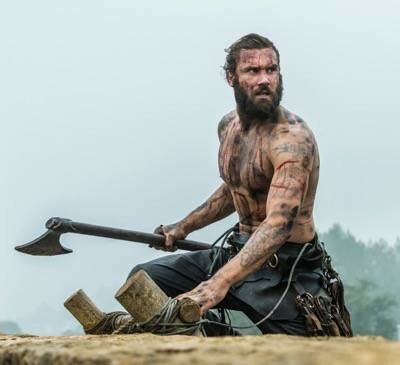 Vikings Season 3 Premiere Recap and Review! Mercenary! Do Not Mess With Lagertha!